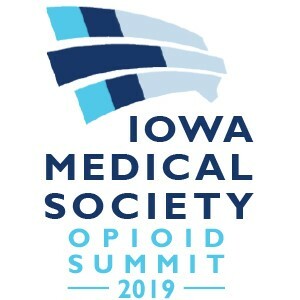 The IMS Opioid Summit will give practical and productive response to Iowa’s rise in opioid use disorder. MAT (Medical Assisted Treatment) Waiver Training will be provided by Alison Lynch, MD, University of Iowa. Shockingly few Iowa physicians have obtained a MAT waiver; increased training opportunities are a crucial step toward expanding patient access across the state. Mornings sessions will include the 4 hour live required portion of MAT waiver training. Once participants complete this step they will be eligible to access the second, online portion of MAT. Corresponding this session will be CDC Prescribing Guidelines Training. Provided by Lee Kral, PharmD, BCBS, University of Iowa. Afternoon sessions: National and local experts will convene to provide insights on techniques to combat Iowa’s opioid abuse disorder. On July 1, 2018, a new law was passed that required all those prescribing opioids to complete training on the CDC guidelines. In addition, Iowa is seeing an uptick in the number of patients suffering from substance abuse disorder and physicians and non-physicians providers are equipped with the knowledge to proper treat these patients. Describe the specific application of the CDC opioid guidelines and the controversy they have caused. Apply the guidelines in a practical way to a patient clinical scenario. Educate a patient regarding long-term opioid safety. Develop a tapering plan for a given patient. Explore the impact of the opioids crisis on the U.S. and Iowa. Discuss best-practices used in Iowa and in the U.S. Describe the healthcare experience from the addicts perception. Discuss medical models for treating addiction. State the importance of counseling/therapy in conjunction with Medication Assisted Treatment (MAT). State the differences between the Data Waiver, Medication Unit and Full Opioid Treatment Program. Opportunities for partnering for success against the opioid epidemic – opening a med unit, outreach, etc. State the difference between tolerance, physical dependence and addiction. Distinguish the specific liability risks in the medical treatment of pain; including misdiagnosis, overprescribing or under prescribing, overdose, abandonment, diversion and vicarious liability. Review candidate selection and standard of care monitoring practices for patients taking chronic opioid therapy (COT). Learn behavioral strategies to overcome patient resistance to dose change and to encourage buy-in, including gaining comfort with difficult patient interactions around opioid dose changes. Master dose reduction schedules and aggressive opioid withdrawal management to promote successful weaning and discontinuation. MD: This activity has been planned and implemented in accordance with the accreditation requirements and policies of the Iowa Medical Society (IMS) through the joint providership of Des Moines University (DMU) and the Iowa Medical Society. DMU is accredited by IMS to provide continuing medical education for physicians. DMU designates this live activity for a maximum of 5.25 AMA PRA Category 1 Credit(s)™. Physicians should only claim credit commensurate with the extent of their participation in the activity. DO: Des Moines University (DMU) is accredited by the American Osteopathic Association (AOA) to provide osteopathic continuing medical education for physicians. DMU designates this program for a maximum of 5.25 AOA Category 1-A credits and will report CME and specialty credits commensurate with the extent of the physician’s participation in this activity. Other Health Professionals: This live activity is designated for a maximum of 5.25 AMA PRA Category 1 Credit(s)™.